This is cheap and does its job well. So well that I bought a second one, after months of good service from my first, so I could have one in my office-office and one in my home office. It’s currently available, in a small range of colours, for under £20 on Amazon. 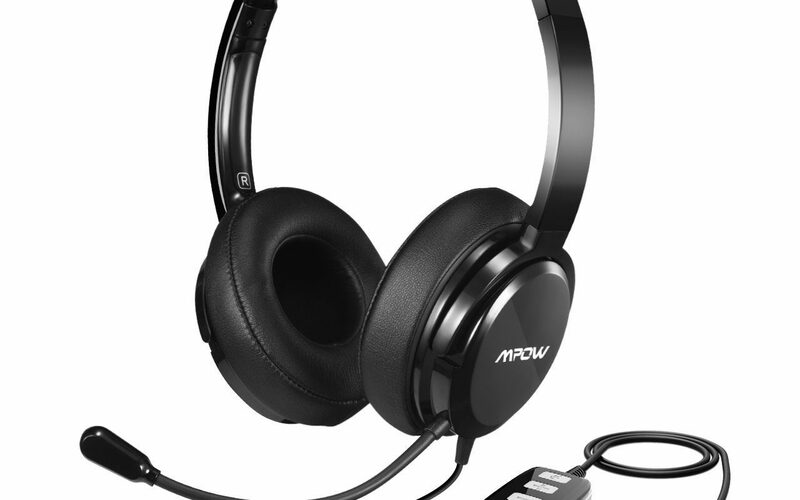 I’m not a gamer and I wouldn’t call its sound “hi-fi”, but this is an excellent-value headset for all the forms of duplex computer communication I’ve used it with: Skype (which it’s promoted as being suitable for), Google Hangouts, and GoToMeeting. You can hear what’s being said and others can hear what you are saying. The feature I appreciate most about it though is that the headset section of the system can be detached via its 3.5mm plug from the remote control block of the USB section that connects to your PC. Plugged into a mobile phone or tablet, this then becomes a particularly good hardwired (as opposed to Bluetooth) comms headset. One of the most annoying shortcomings of most hardwired, in-ear headsets—especially the ones that come free with even expensive smartphones—is that the microphones are usually too far from your mouth to pick up a good outgoing voice signal. The microphone stalk on the MPOWs is semi-rigid and can be adjusted to get up close to your voice. The earpieces are reasonably comfortable for long use; the control block has volume-up and volume-down buttons—plus a mute button with a clear LED indicator that lights up either blue or red (a better combination for the colourblind than green and red) to tell you its state; and the connection cable is a short, but sensible, length.